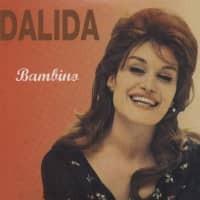 Dalida was born in Cairo in 1933 as a child of Italian emigrants, Yolande Gigliotti, aka Dalida, spent her youth in Egypt. Only at the age of 22 she went to Paris hoping to become famous there as an actress. She didn't get a role, but instead she got an engagement as a singer. 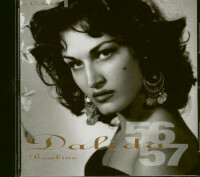 And soon, in 1956, Dalida celebrated a triumph with'Ciao, ciao bambina' and Bambino'. The success was overwhelming, also in Italy and soon even in Germany, where she sang her song "Am Tag als der Regen kam' in die Herzen der Schlager-freunde. 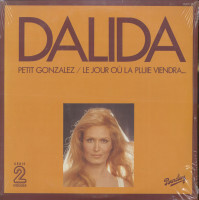 Since then Dalida has recorded about 500 songs in 8 languages. For several years it became very quiet around her, and when the newspapers talked about her, it was only to tell about her love stories and her suicide attempt. She could not compete with chanson singers like Barbara or Juliette Gréco, her repertoire was too simple for that, and she could not keep up with the young pop singers like Françoise Hardy, Sylvie Vartan or Mireille Mathieu, for she was already too old in the "Ye-Yé'-age as a 3O year old. And then, in 1974, she suddenly made a comeback with the two "upscale" hits "He was just 18 years old' and "Gigi the Beloved'. 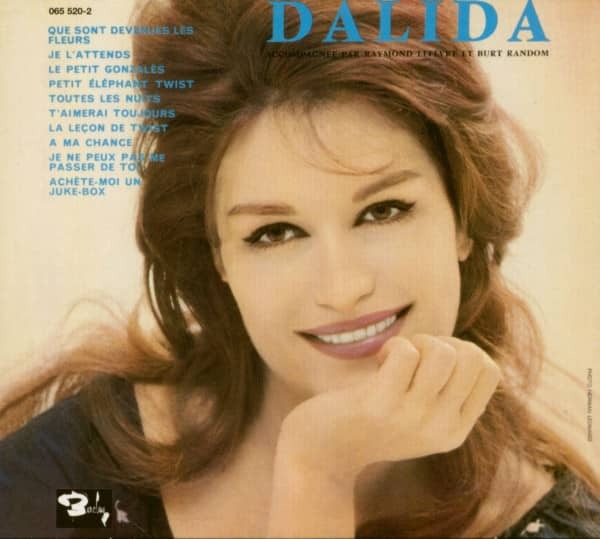 Whether Dalida has enough breath for a second career remains to be seen. Customer evaluation for "Dalida (CD)"